Last year, Anna learned how to be a good friend. Now that her family has adopted a baby girl from China, she wants to learn how to be a good sister. But the new year proves challenging when the doctor warns that the baby isnt thriving. 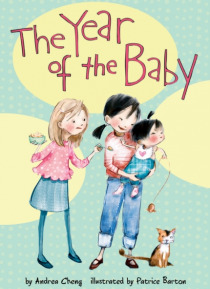 Can Anna and her best friends, Laura and Camille, create a science project that saves the day? In this heartwarming sequel to TheYear of the Book, readers will be j… ust as moved by Anna's devotion to her new sister as they will be inspired by her loving family and lasting friendships.